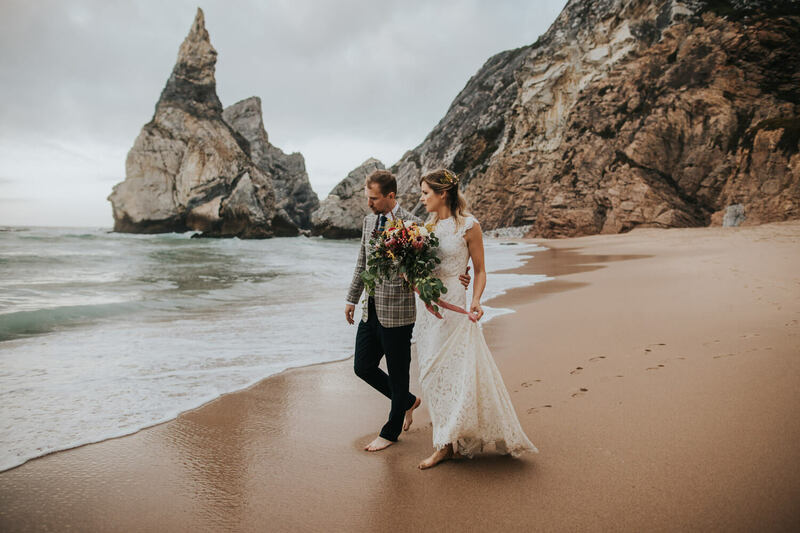 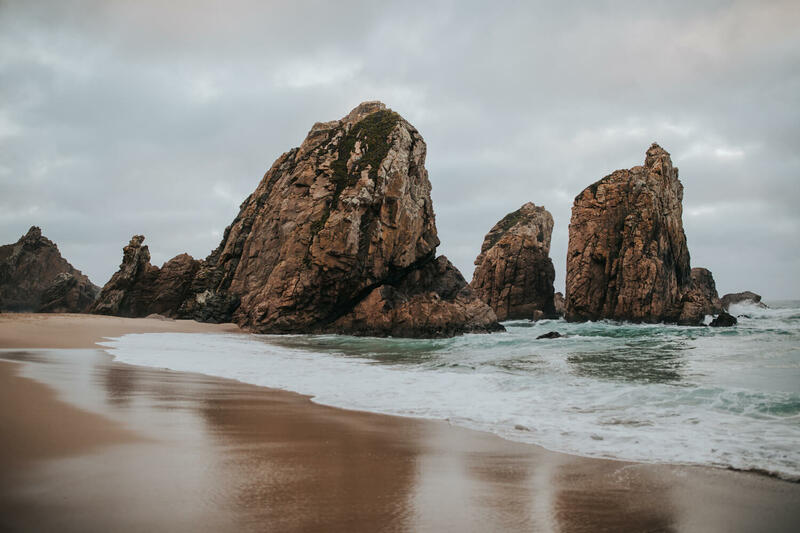 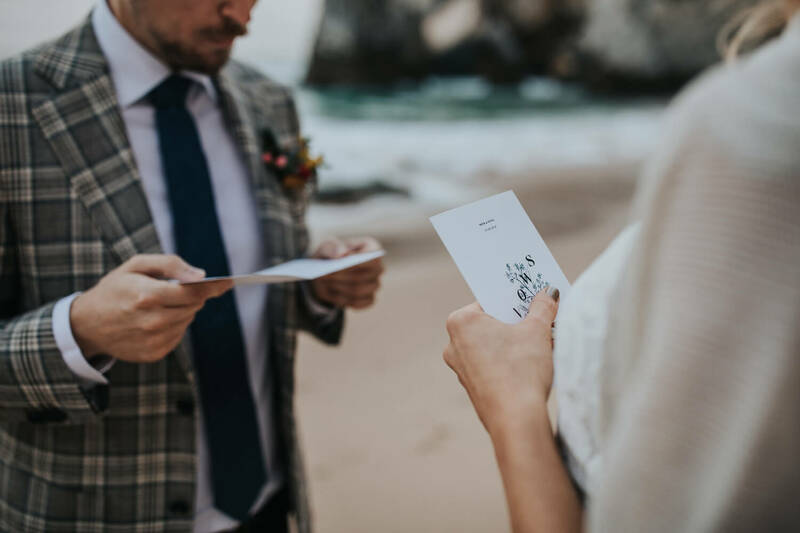 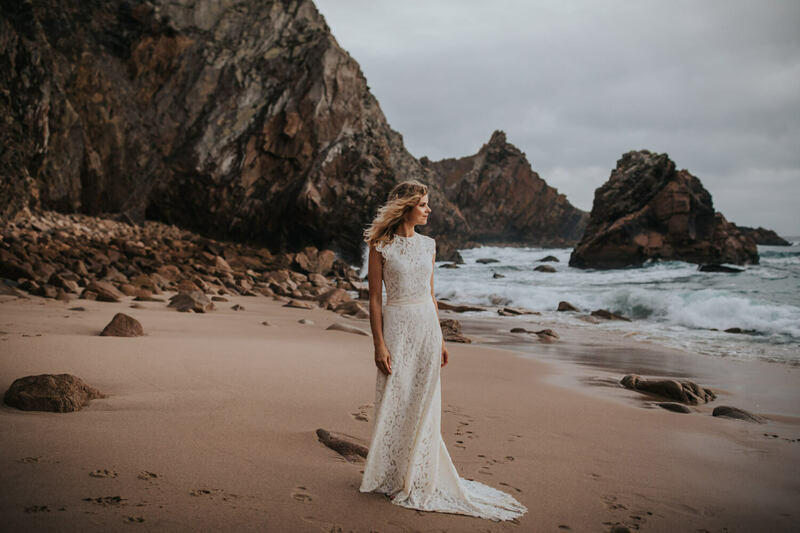 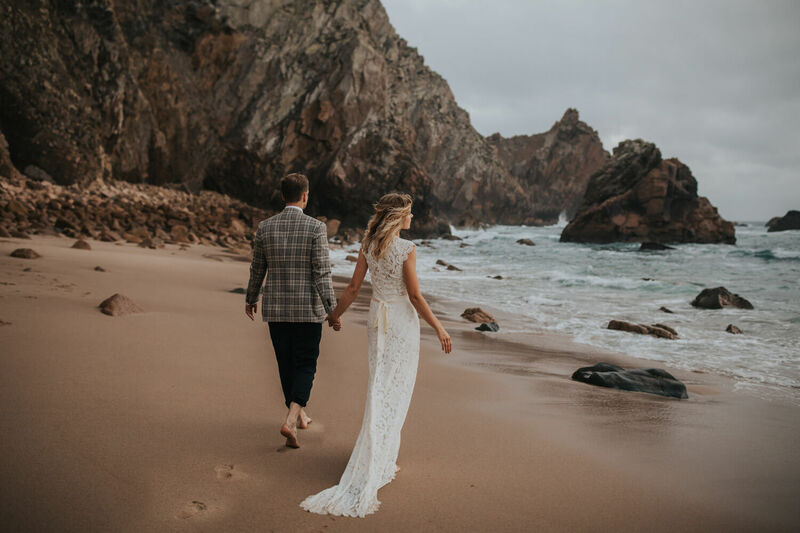 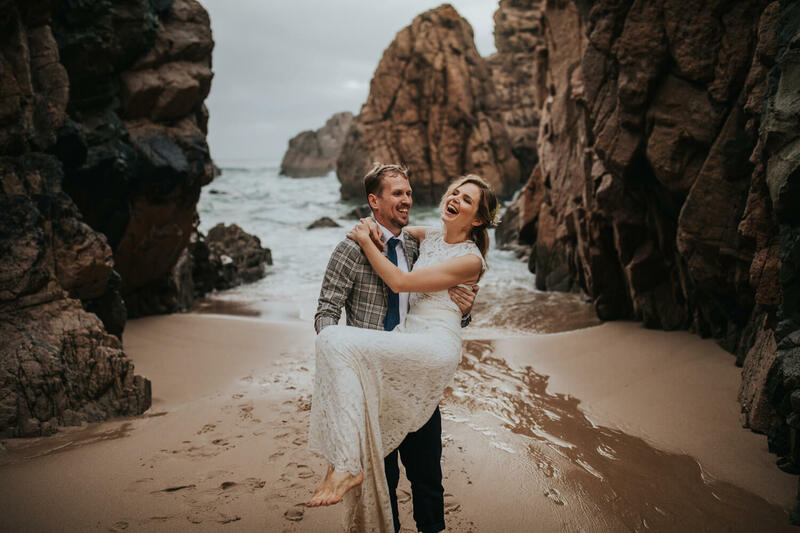 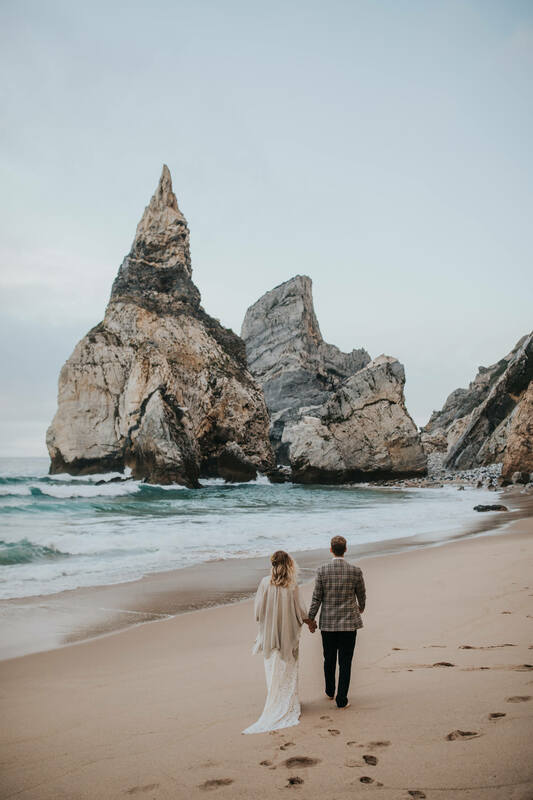 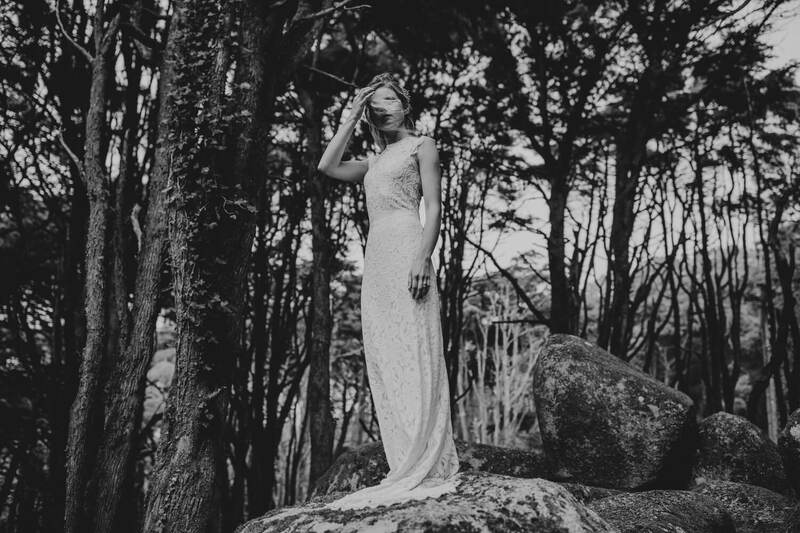 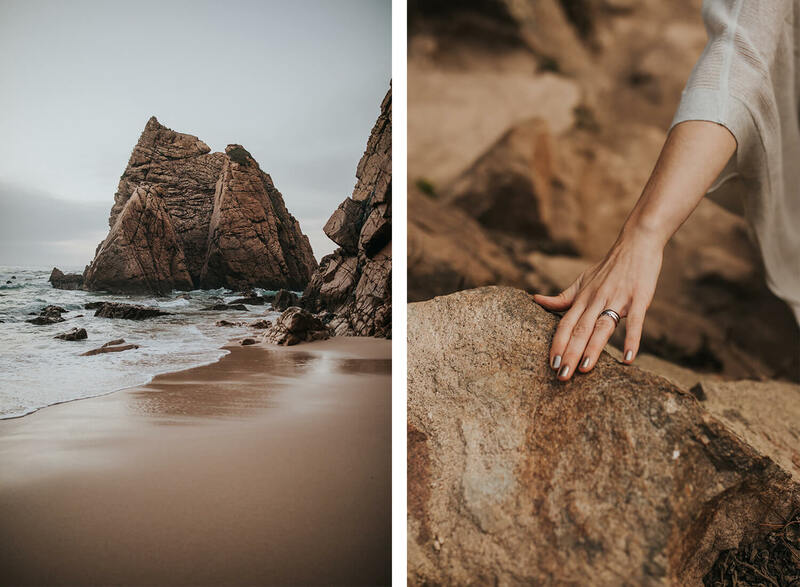 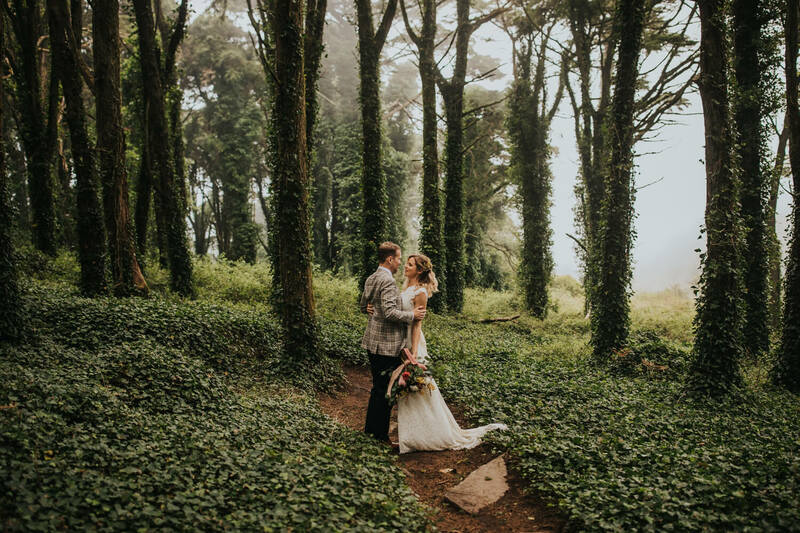 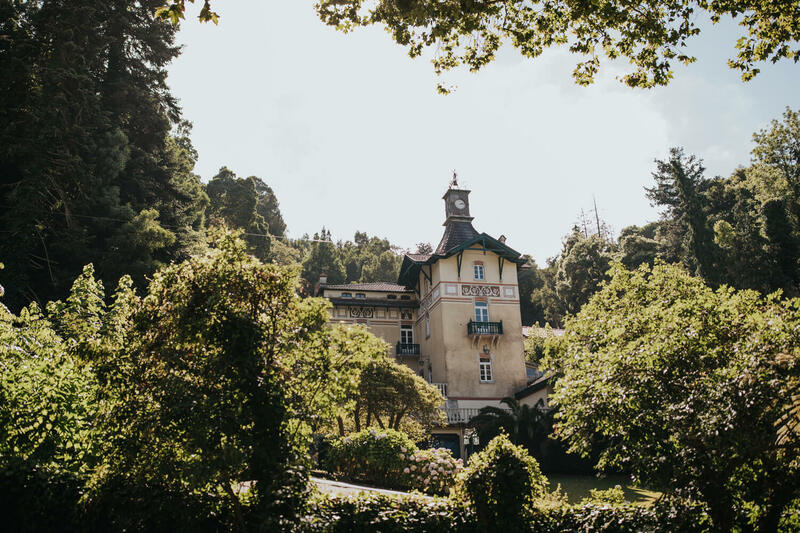 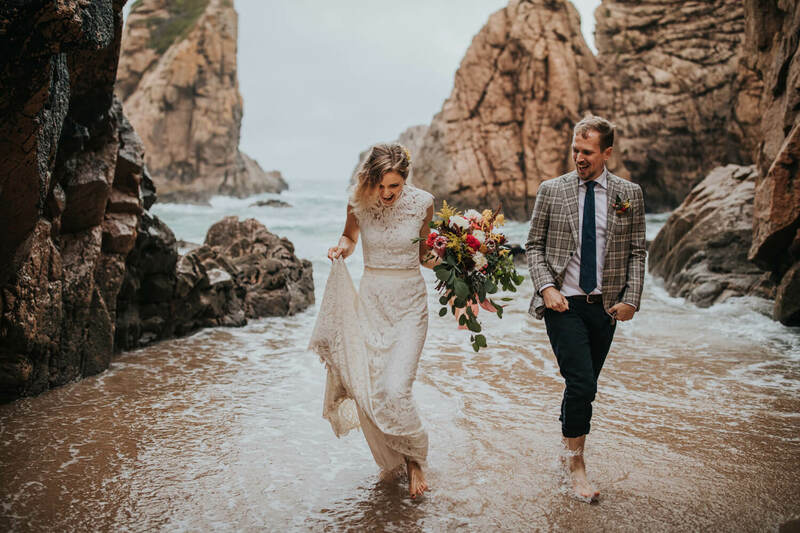 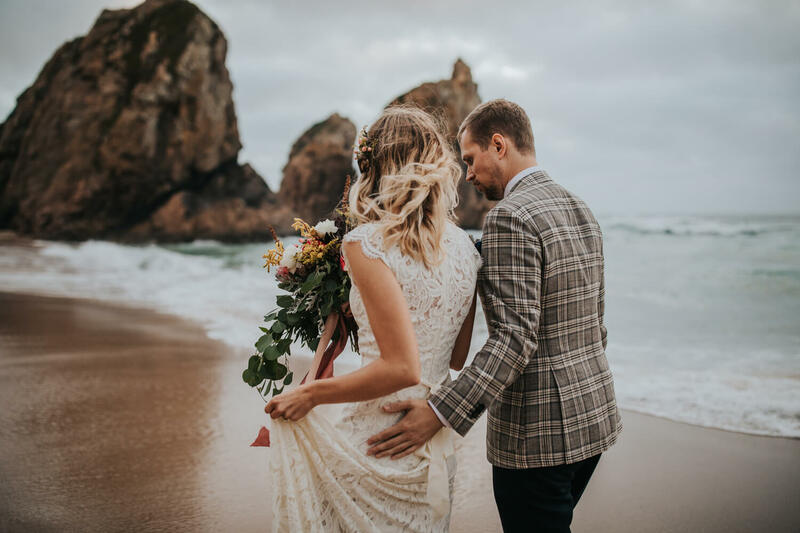 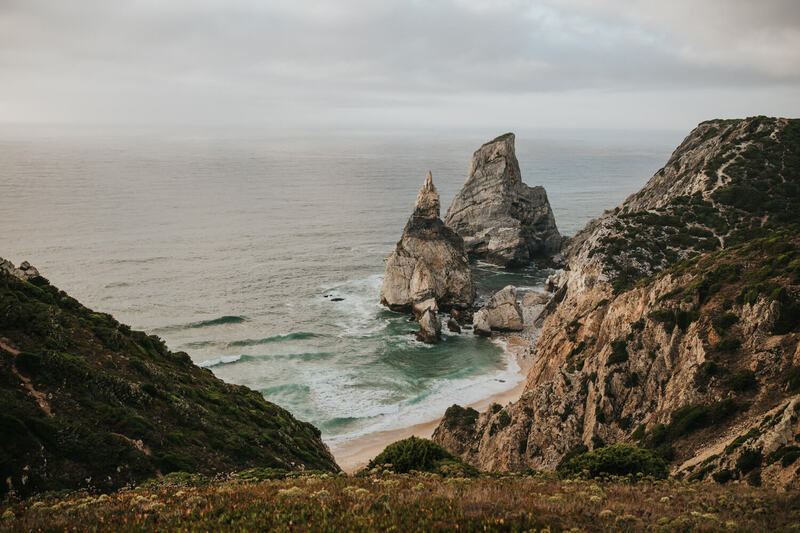 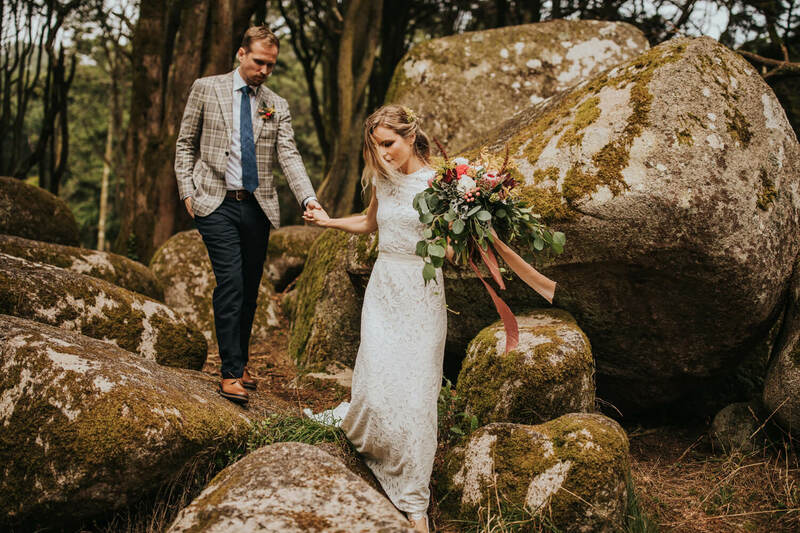 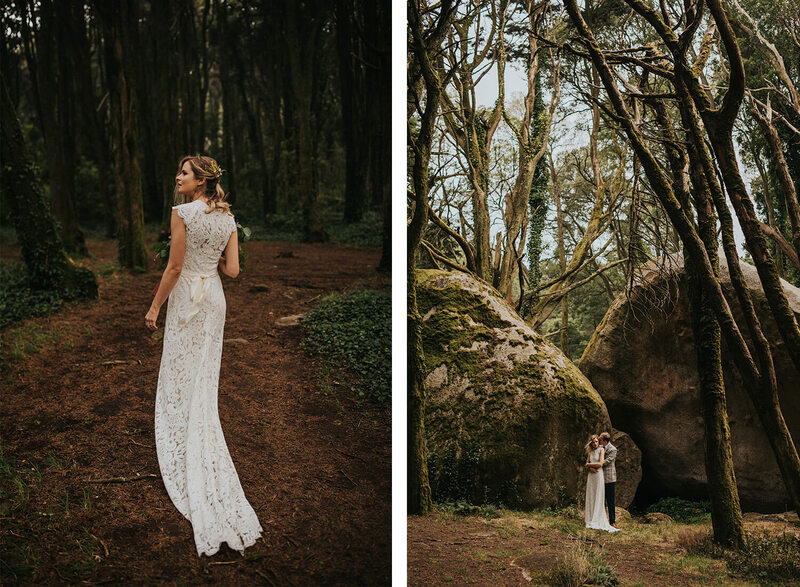 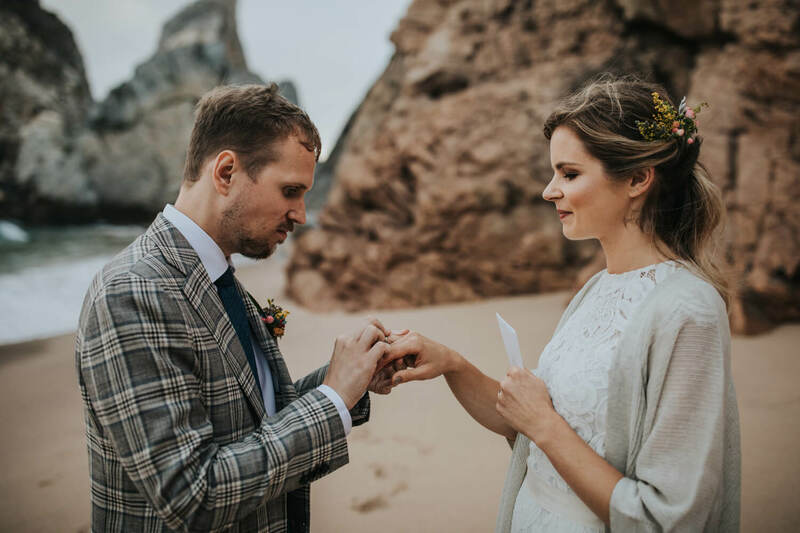 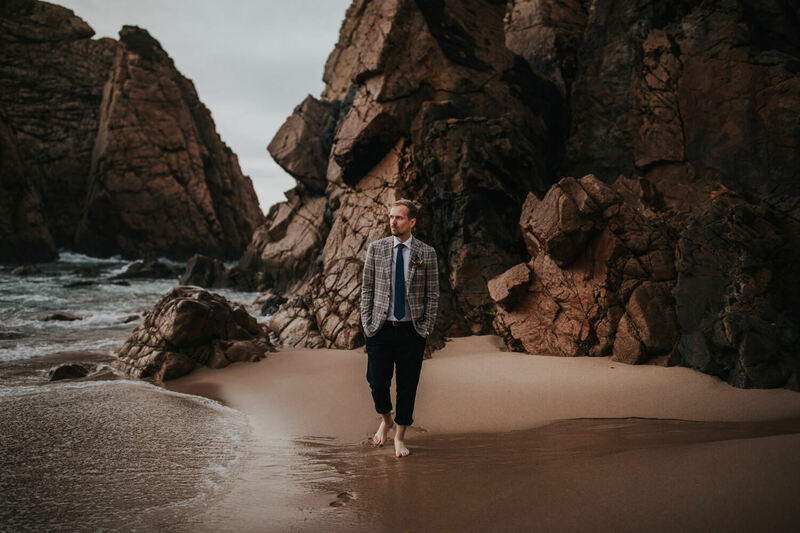 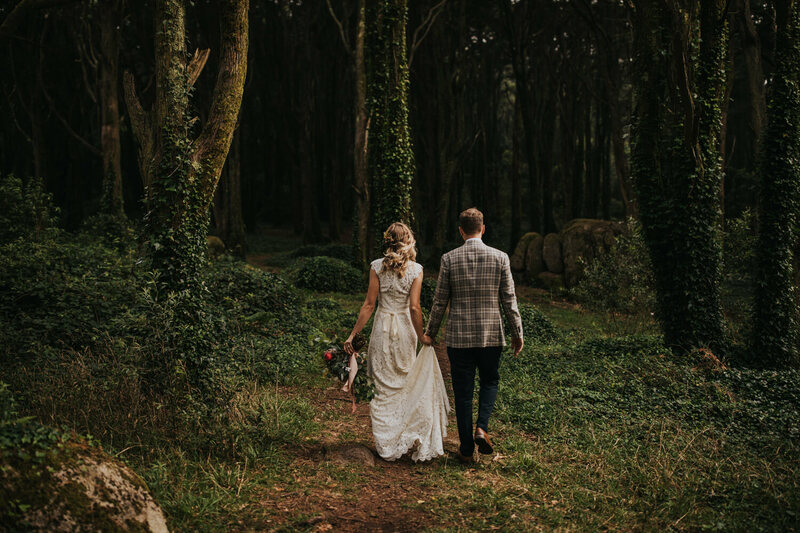 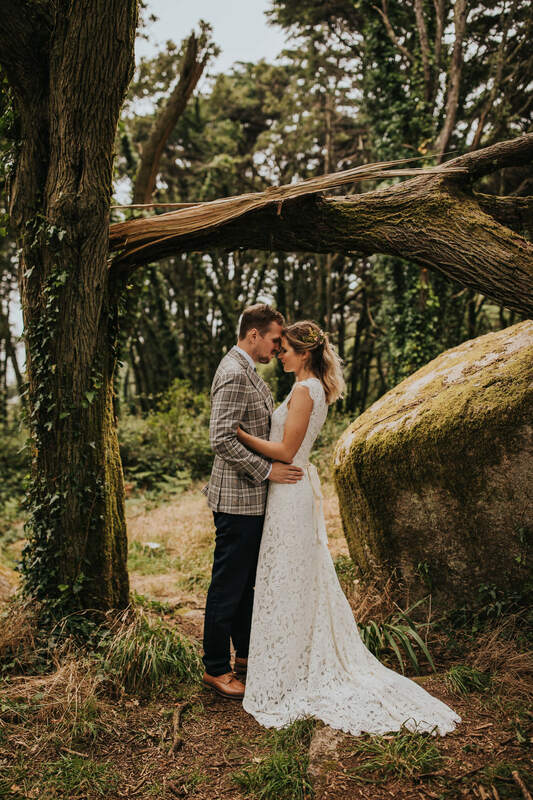 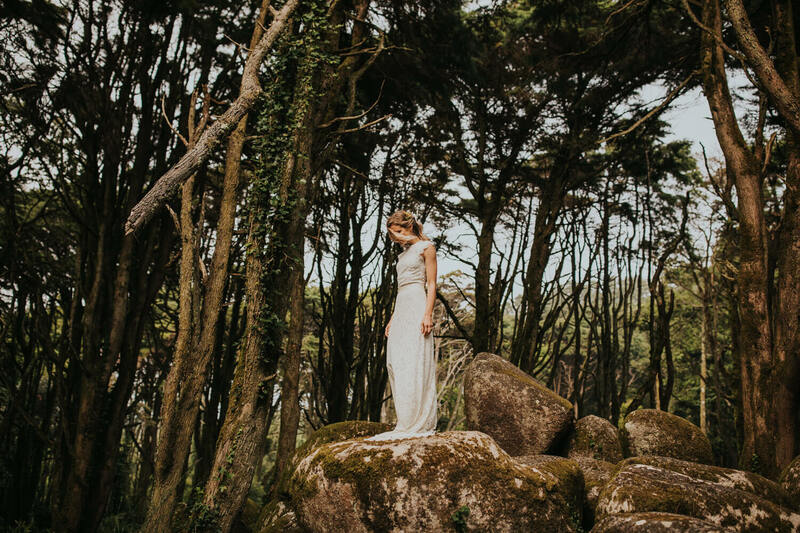 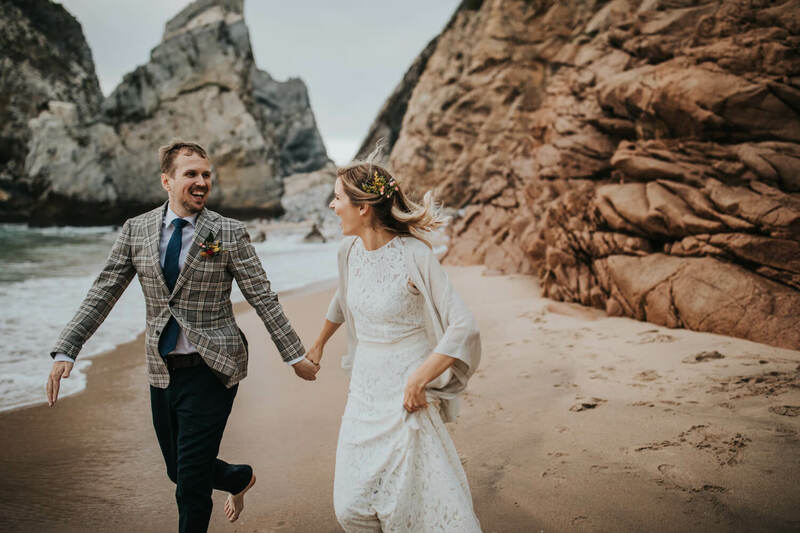 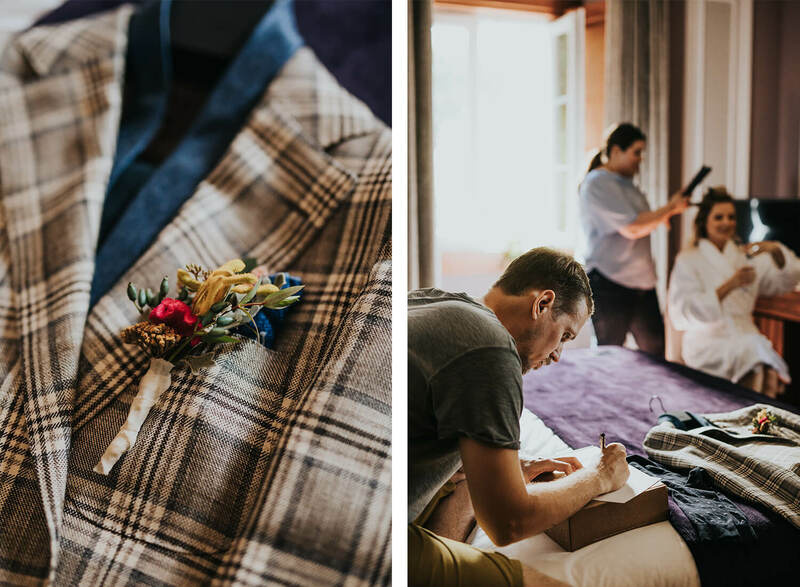 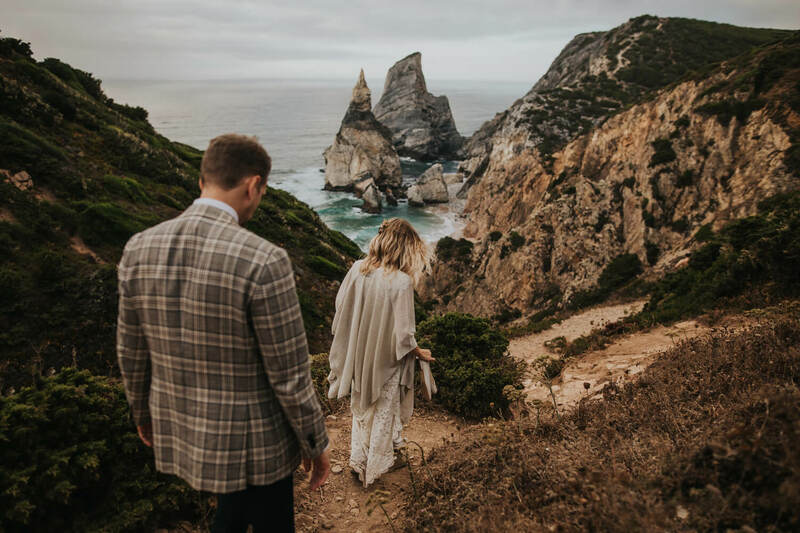 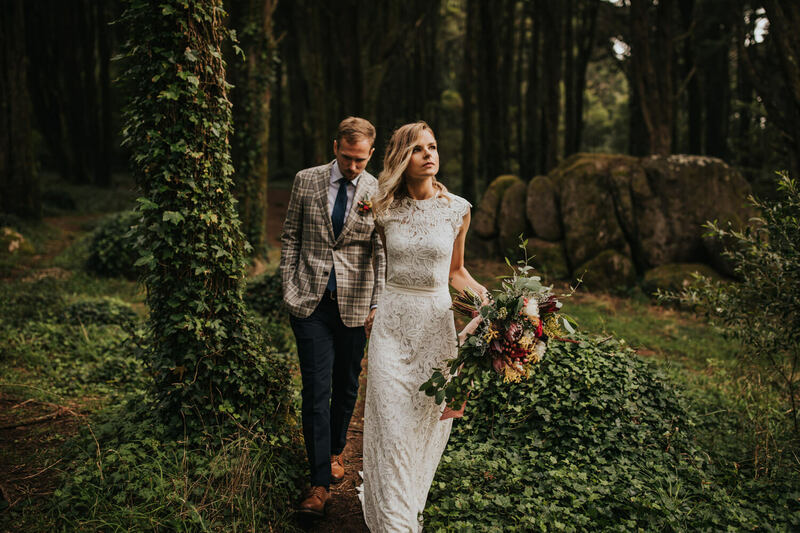 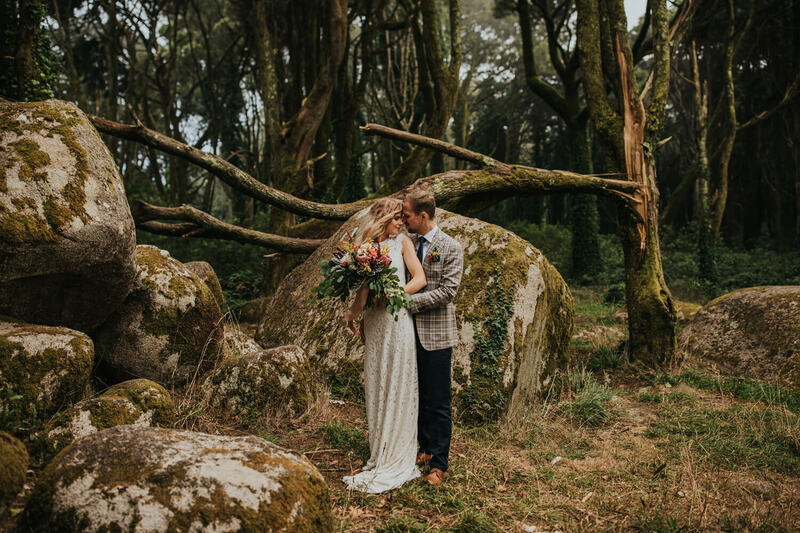 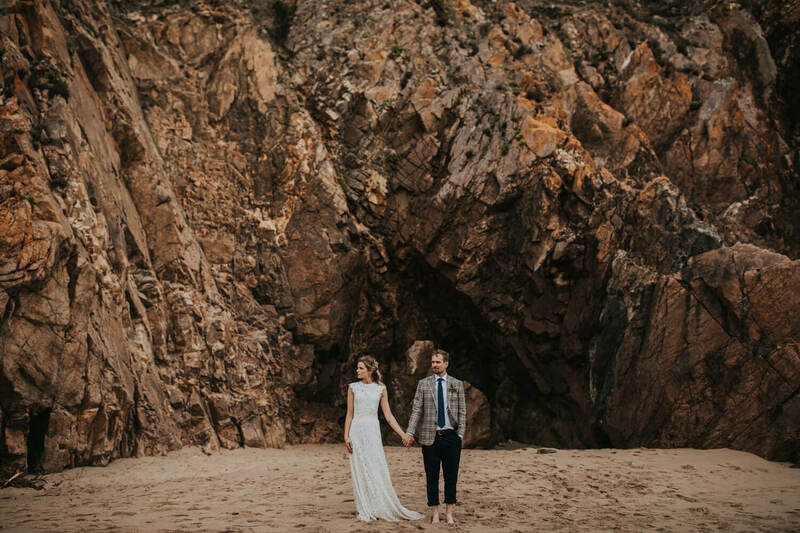 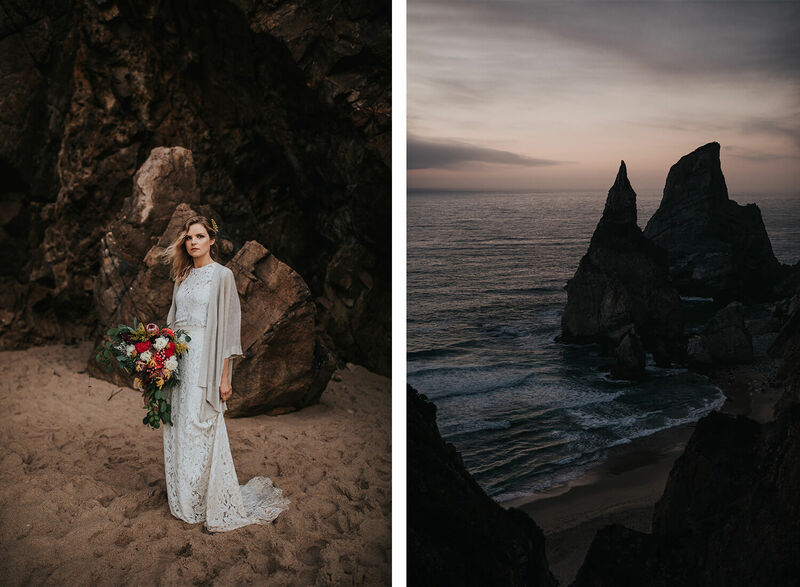 The mysticism of the mountains of Sintra and one of the most stunning desert beaches in Portugal were the background of the elopement of these two lovely souls, and it created unforgettable memories that we will keep in our hearts. 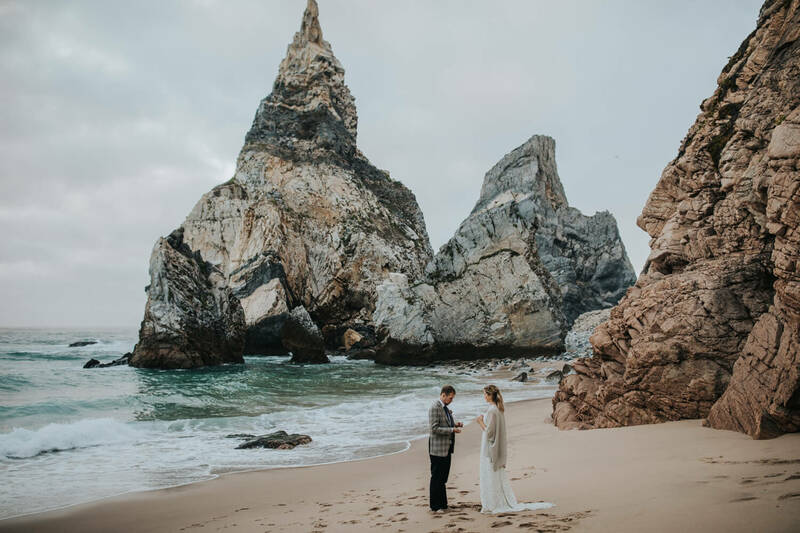 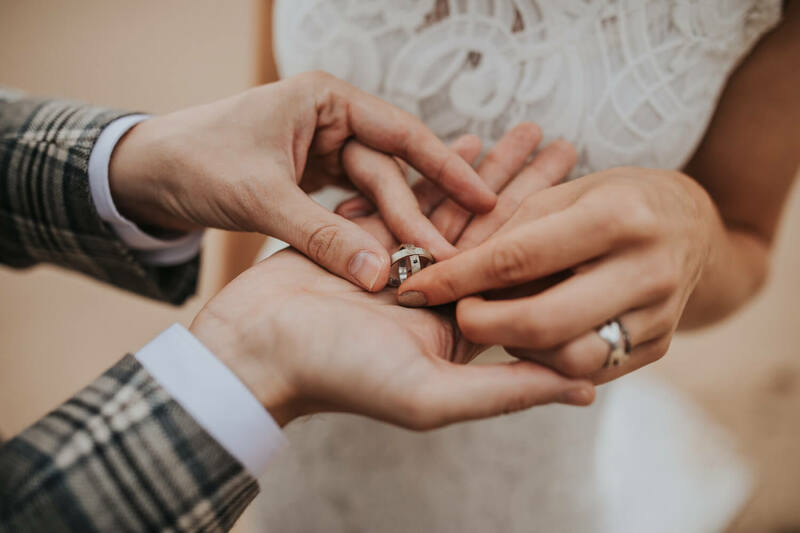 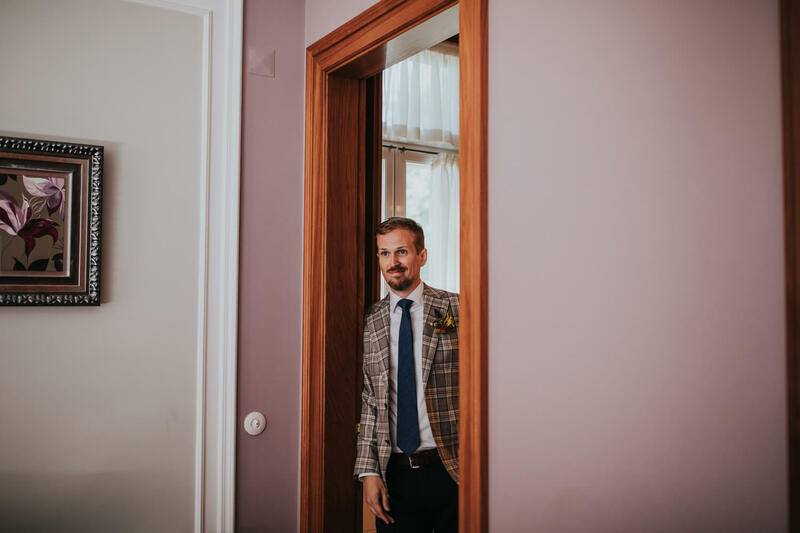 Having the mountain and the beach together on their wedding is the perfect plan for those free souls who love travel the world and explore the nature always seeking for places almost untouched by men. 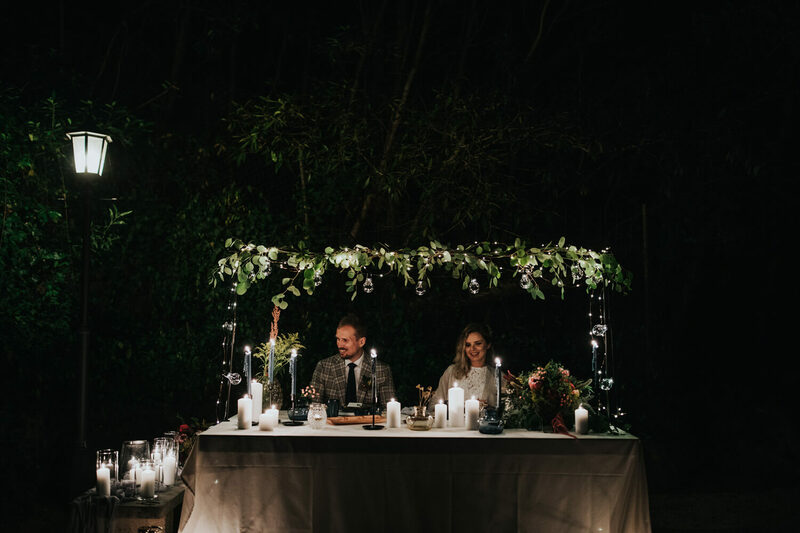 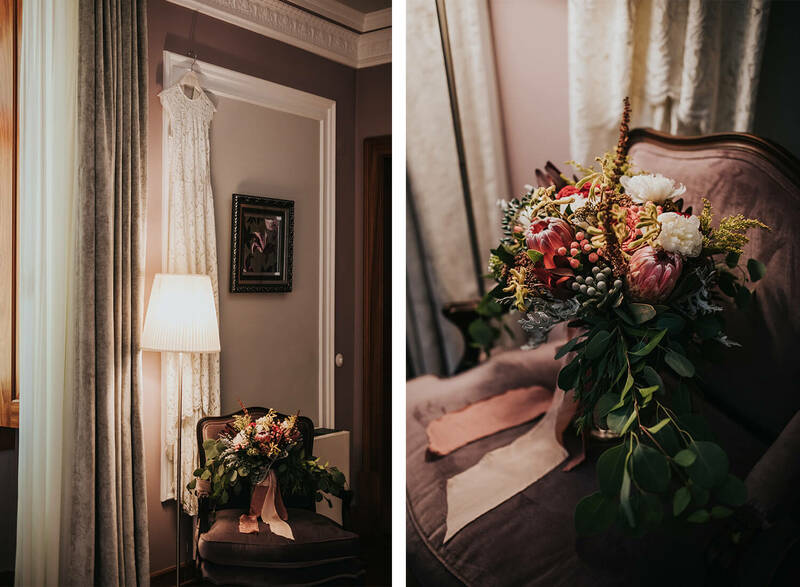 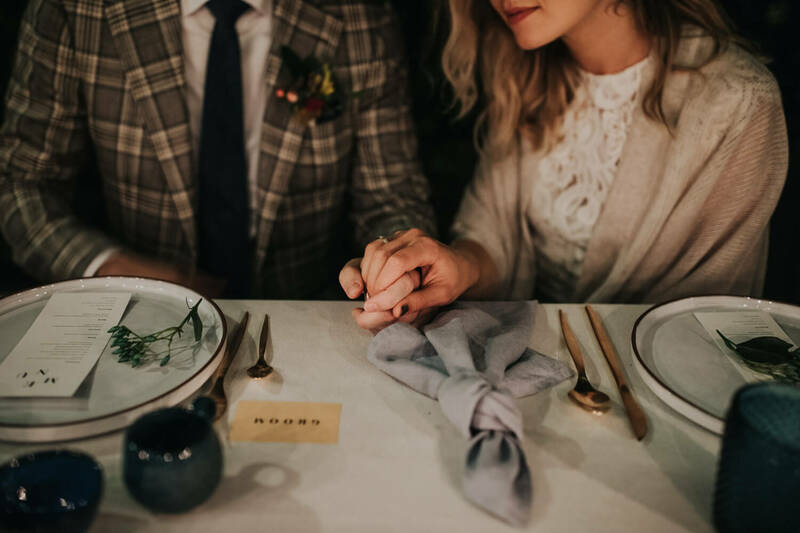 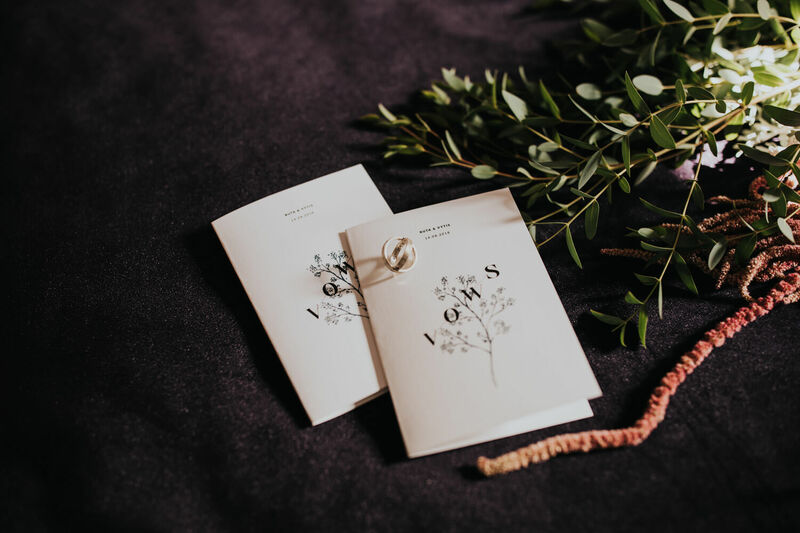 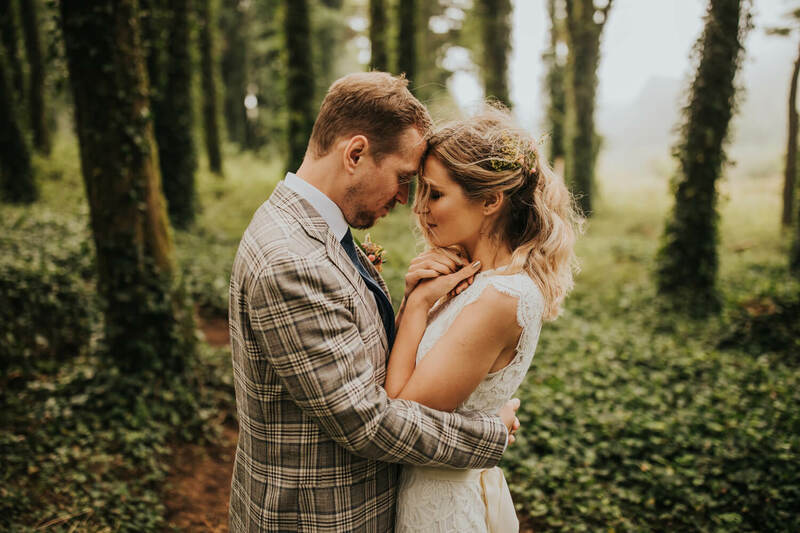 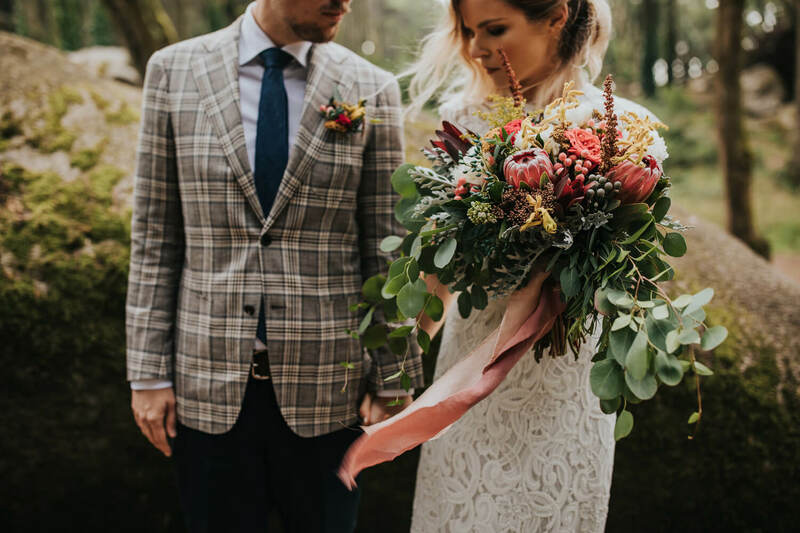 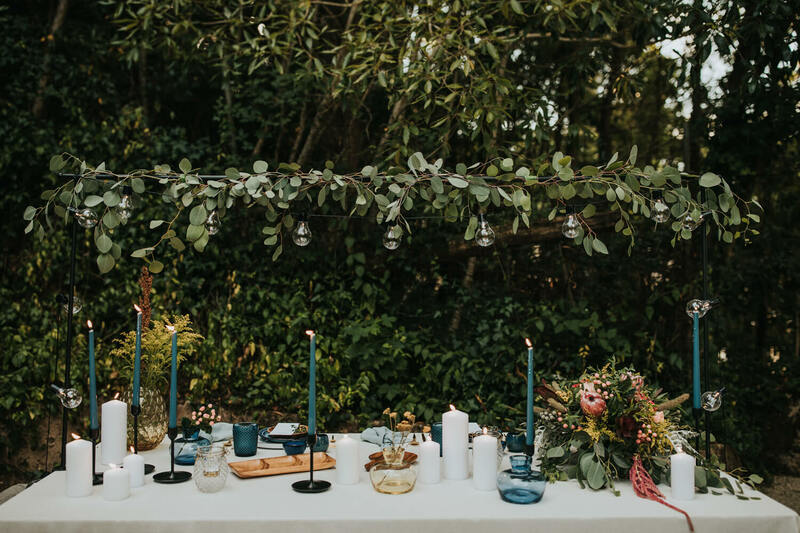 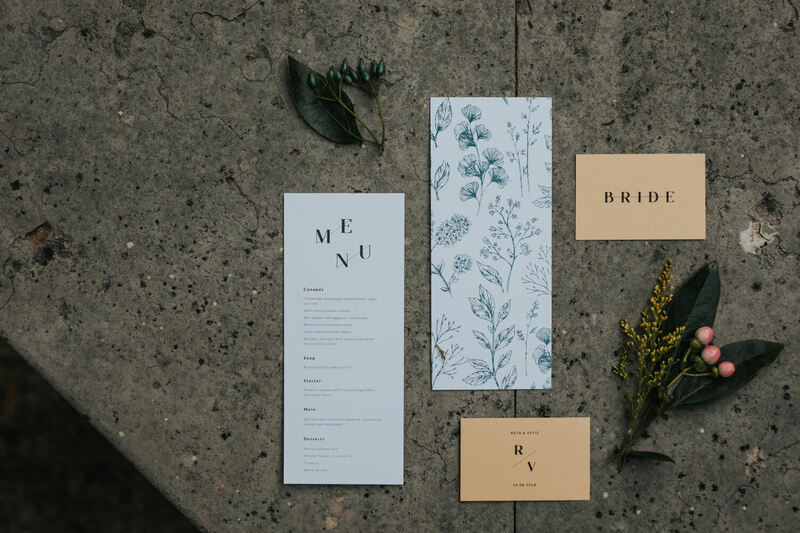 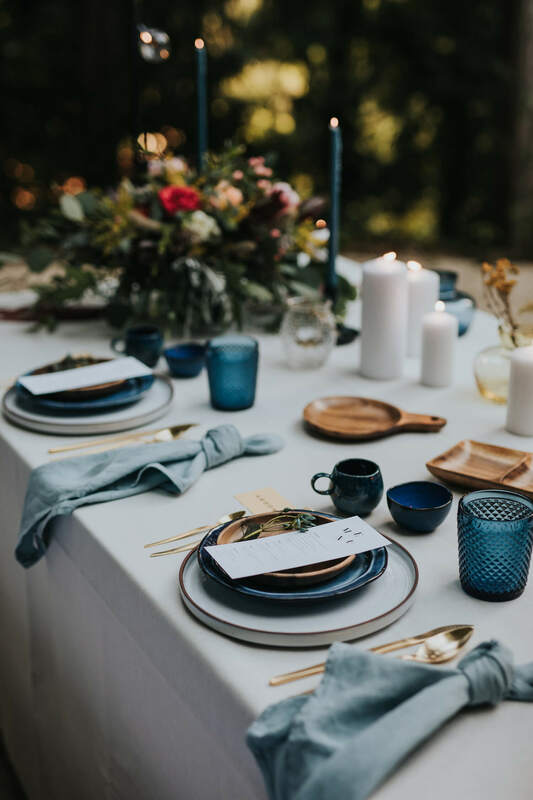 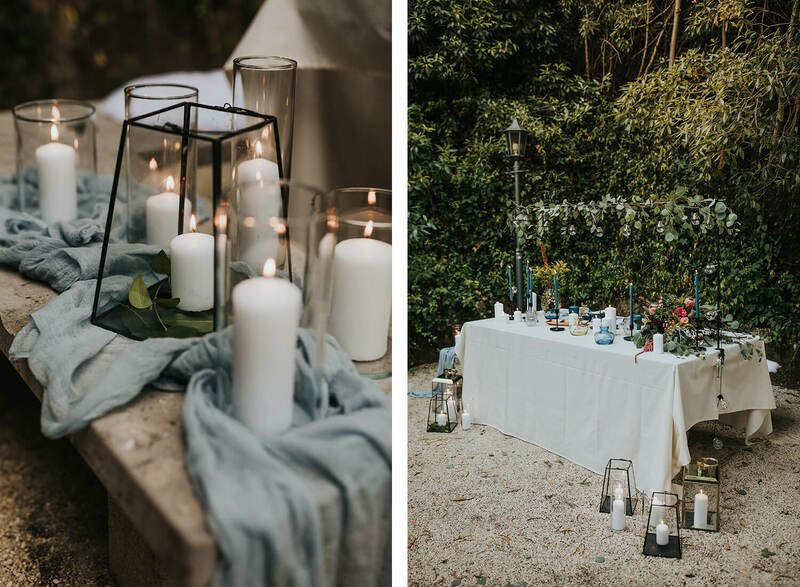 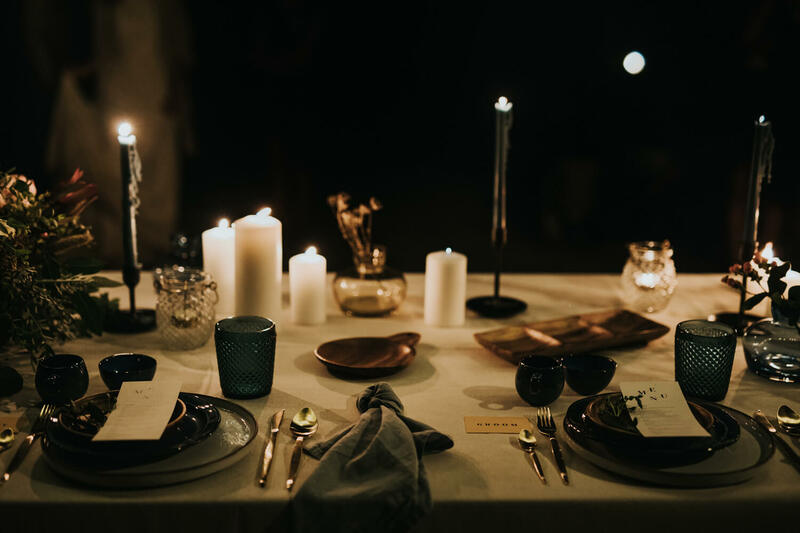 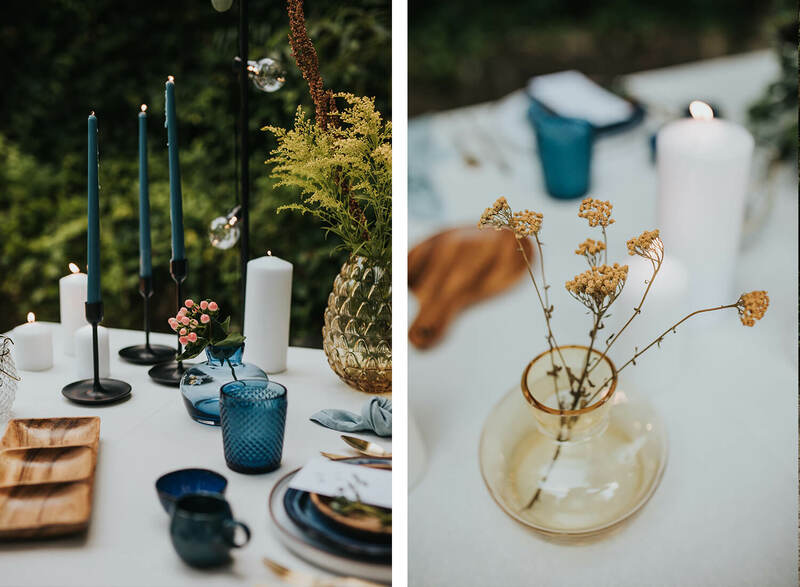 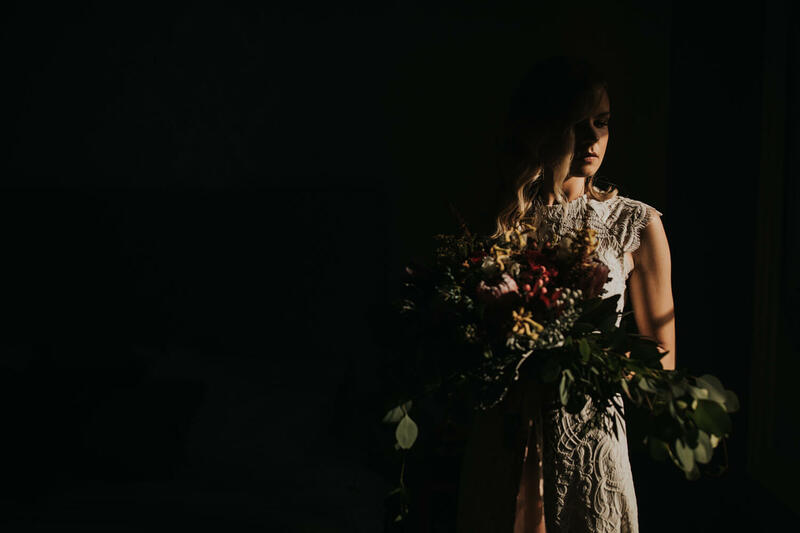 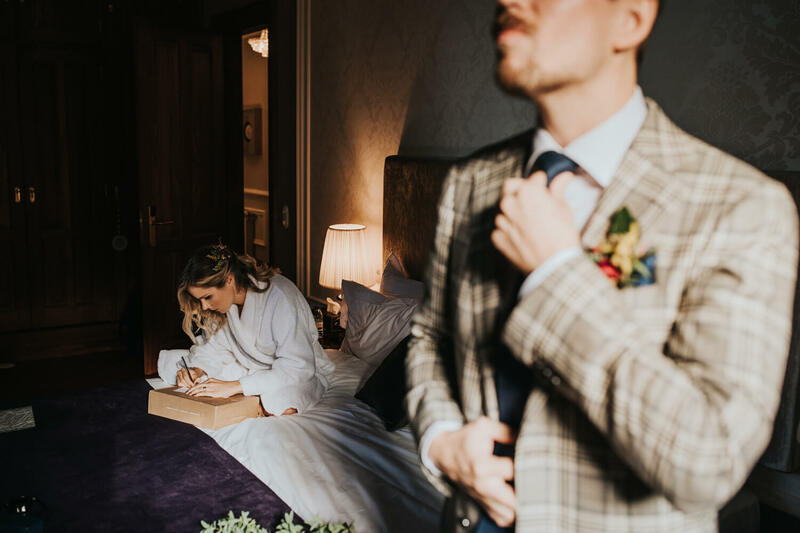 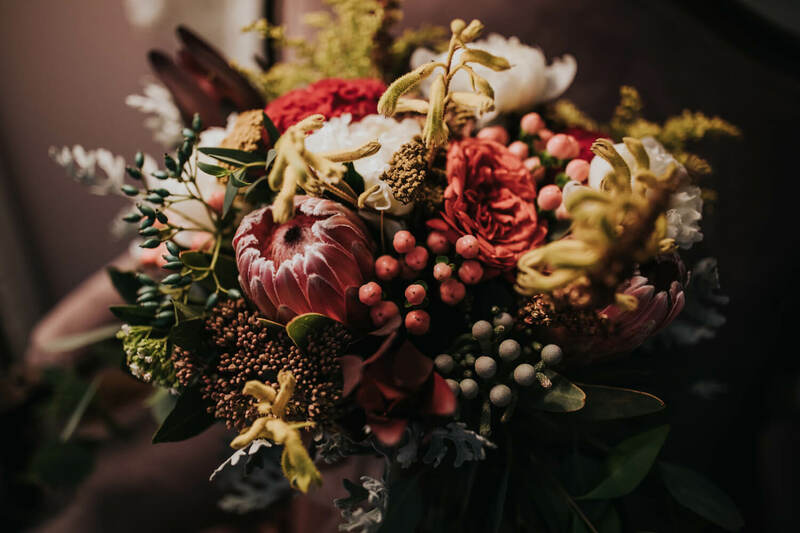 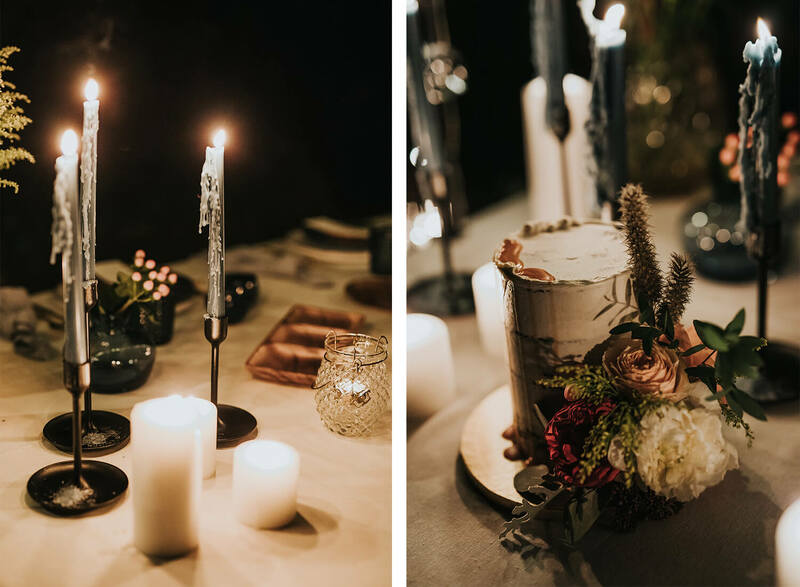 Ending the day with a bohemian dinner in the middle of the forest surrounded by candles and a decoration inspired by the earth and sea tones gave that intimate and cozy atmosphere which is perfect for an elopement. 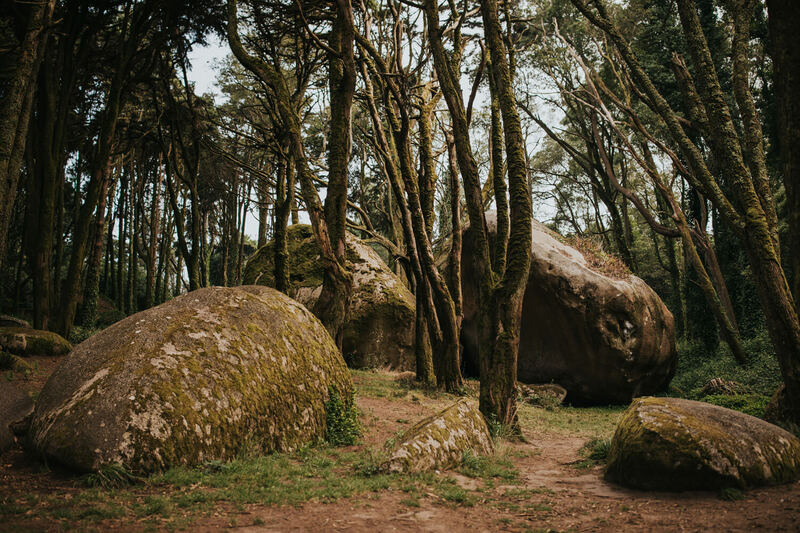 How do not fall in love for this?